I bet I have traveled much more on cross-country skis than the combined distance covered by car, train, bike and on my feet during nearly a five-month long Norwegian winter. 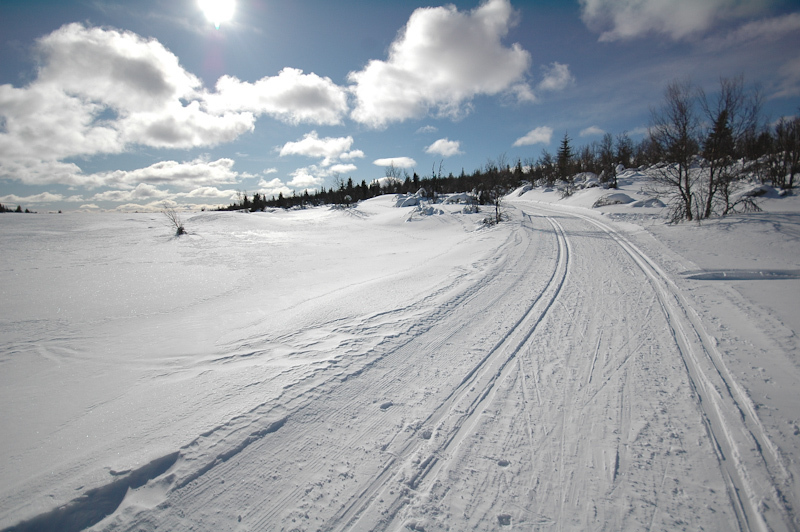 Cross-country skis or langrenn (in Norwegian) is undoubtedly the pride and the national sport here. Locals are born in a sleigh pulled by a skier (pulk, in Norwegian) and aged two to three already take their first steps on skis. The last ten years I have lived in the belief that when it comes to winter sports it’s all about snowboarding. This winter is about to change my point of view. Getting cross-country skis bug t is quite easy. First of all, it’s an interesting sport. Just after a few days practice it starts to give you high levels of satisfaction also provides an ultimate way to use up all your energy and takes care building up lots of your muscles, if not nearly all of them . It’s also a sport that involves planning an advanced strategy. Which muscles should you use first, which will be useful for later. 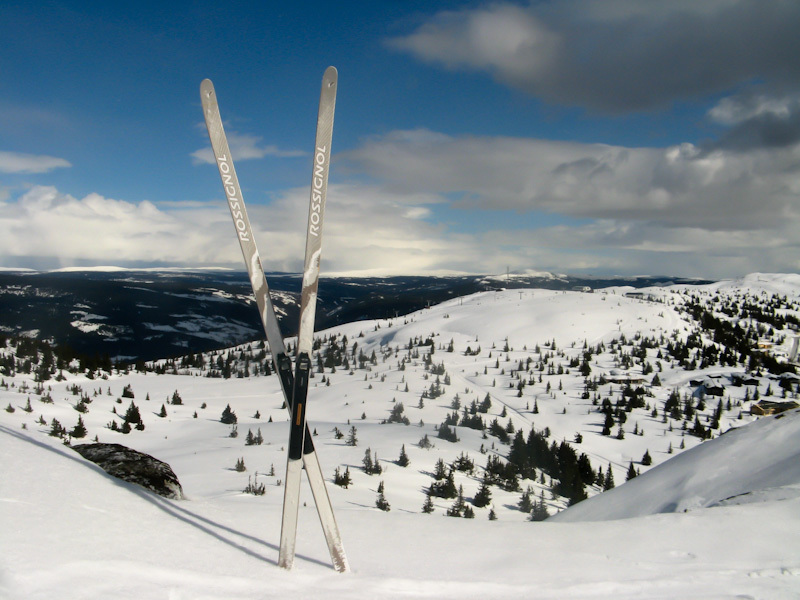 At which point should you increase your pace or change the skiing style so that the entire time you use your energy reserves in an optimal way and efficiently move forward. 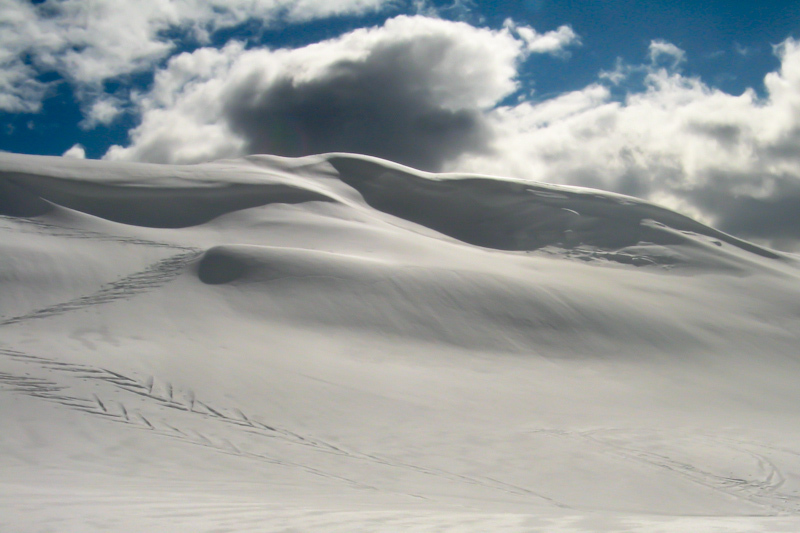 Two ways, both as an amateur on a sunny Sunday morning as well as a high-endurance exercise, regardless of the weather, time of day, visibility and terrain are fantastic to spend time on snow. I am totally into cross-country skiing to the extent that just after one month of an intense, daily trips, both on the illuminated track and in difficult terrain, fog and snow, each time trying to overcome my limits, struggling with tiredness, cold, hunger and harsh ascends passed at the highest pace possible, I became a cross-country beast. 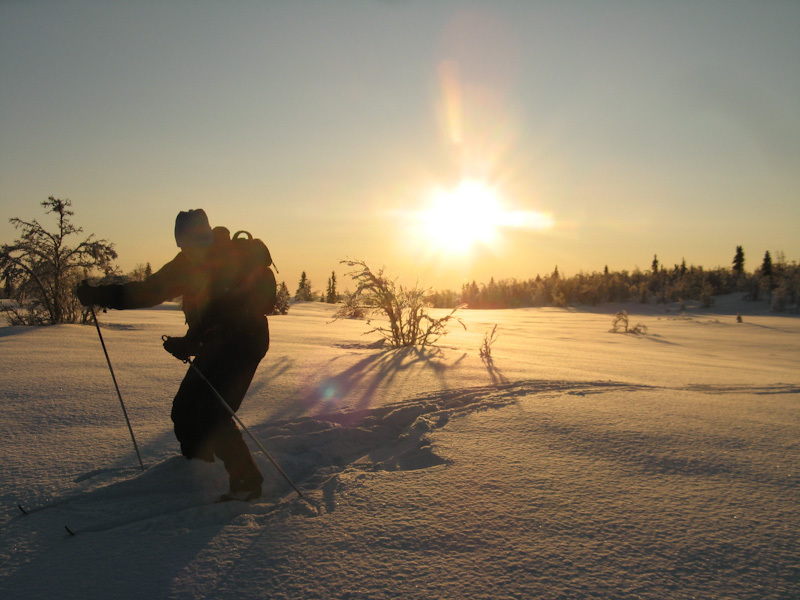 Gålå provides more than a hundred kilometers of prepared trails, if you take counter- and clockwise directions you already have a several hundred kilometers of cross country tracks. With time even that much is not enough, so when I end up skiing outside the range of local maps, I come up with a topographic map of the whole region, so I can plan remote routes myself. It’s a sport seemingly banal and not much an extreme one, but if you take it right it can be very adventurous. You must know your limits, take the challenge based on your experience and keep in mind that in the event of an accident, there is no one who will come to save you. On seldom visited tracks you can only rely on yourself. The only limitation in planning a route and giving it an appropriate scope is your imagination. Here are a few examples. The Full Moon . When full moon night is about happen all you to be fully lucky is a cloudless sky. One night like this I decide to set off without any equipment (also, without a headlight) on a well-known route to me. The moon and its light reflected by the white snow makes the visibility almost as good as during the day. There is no one on the route, just the silence and immensity of the night which add magic to this experience. This is like a night-time rendezvous with a beautiful nature. The Endurance Test. Overcoming the 2 x 28 km route time from Gålå to Kvitfjell and return as fast as possible. The route is packed with uphill and downhill parts as well as some other terrain difficulties. I also take some side trips to climb to the local summit and its vantage point. Constantly struggling with tiredness, taking only short breaks breaks and intensely using up all the remnants of energy ends up in making the 56 km route in approximately 6 hours. This effort is comparable to running a one and a half marathon. The Route into the Unknown in the Dark. Another time I waited for a completely dark night to go on the tour with just three Snickers chocolate bars and headlight, with no water nor any additional accessories. The route I prepared turned out to be roughly 25 kilometers on the map, the majority of which was a totally unknown area for me. After about an hour skiing the weather gets worse. On my way there is a fog limiting visibility and gusty wind causing blizzards. I passed already Fagerhøi, but I do not manage to reach Vendalen , the next orientation point. What should I do? I make a decision to move a few miles ahead, but the weather does not improve and the turmoil becomes more crazy. I get frightened when visibility is reduced to several meters and the wind is covering my track. I see no terrain orientation points in order to continue the journey or to go back . In radius of 2 km I encountered only an abandoned barn and a shed. There is not a single living soul probably I even larger radius. To that end, in such wilderness you have to know which way to move on. I have already eaten two chocolate bars. Shortly I become energy-hungry again and all the time the remaining snickers comes to my mind. So I decide to eat it as well and at this point I realize that I can rely only on myself, no one here to help me find my way out. All is left is the temperature of -20ºC, strong blizzard, complete darkness and dense fog. I decide to go back. Taking few attempts and with a bit of luck, I manage to find an almost completely snow-covered way back. As a result, instead of complete the remaining 8 kilometers to finish the loop, I’m forced to give up and backtrack about 17 kilometers. At the end of the season besides the cross-country skiing I also take up traditional mountain running. Finally at the end of the winter I feel quite prepared for the upcoming six-week adventure in sub-Saharan Africa on a bicycle.